You can wear the necklace with no adornments for a classic look. You can change the adornments in a flash. The adornments can be full of bling or very simple. The choice is yours. Each time you change the adornments you have a brand new necklace. Have fun!!! The stringing patterns are very large and easy to see. Since you can print the pages as many times as you want you can mark your place on the pattern. Some previous beading/stringing knowledge (adding clasp, starting and ending threads) required. 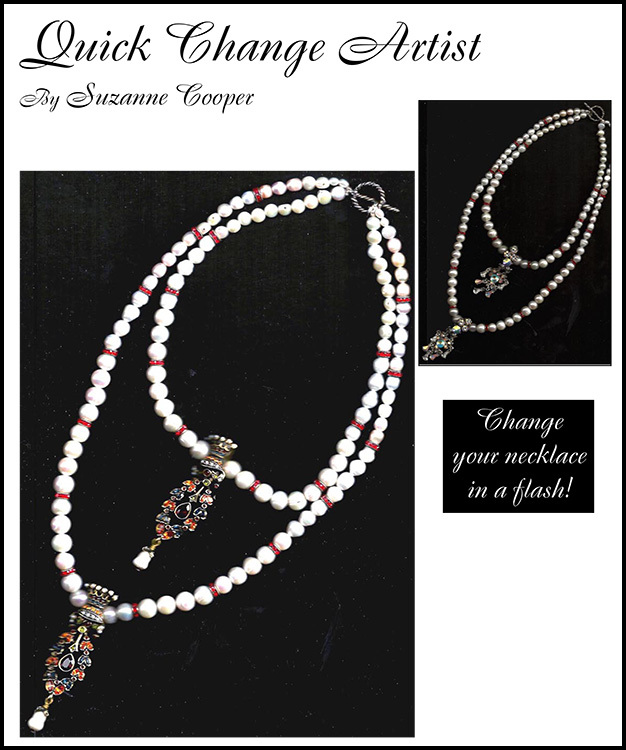 There are instructions for attaching the adornments and full page photos of two necklaces. Adornment pattern is not included, however I do tell what type of adornments I used, they are easy to obtain and use!. Long strand 22" Short strand 16"